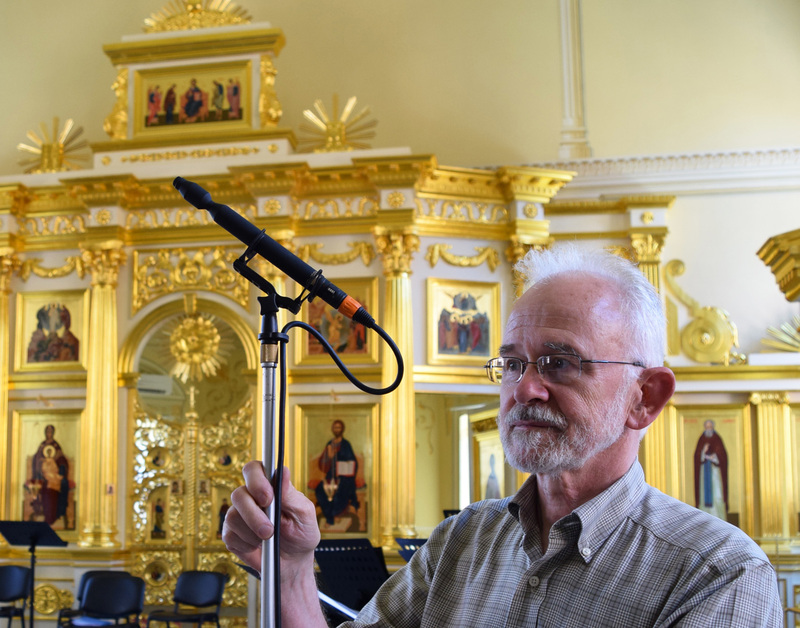 Boston, MA, August 2016 – Innovative recording entrepreneur John Newton, founder of Soundmirror Recording, packed up his Sanken Chromatic CO-100K microphones to record a men’s choir in Russia’s Saratov Cathedral. With a 20Hz ~ 100kHz range, the Sanken omni-directional condenser microphone is the world’s first 100kHz microphone designed specifically for professional recording. “We do all of our recording on location throughout North America and sometimes Europe, Russia, and other exotic locales,” Newton explains. Founded in 1972, Soundmirror is a premier classical music recording and production company and has recorded for every major classical record label. Soundmirror’s orchestral, solo, opera, and chamber recordings have received over 80 Grammy nominations and awards.